Jen and Jeff’s wedding was a true delight to participate in! We enjoyed working with Jen’s Mother, Debbie, and creating a lush, yet simple, elegant wedding that fit the look they desired. At first, they were going to purchase stands for the aisle and use them in their garden. Then, in having challenges finding exactly what they wanted, we offered to assist. We found the perfect rentals for them that fit their budget, and picked up the stands, brought them to the wedding when we delivered and set up the other florals, and then returned them, so it was stress-free on their end. After setting up all the florals for the ceremony and cocktail hour, pinning on boutonnieres, and distributing the bridal party bouquets and corsages for the Mothers and God Mothers, we waited through the ceremony and then re-purposed the decor for the reception. 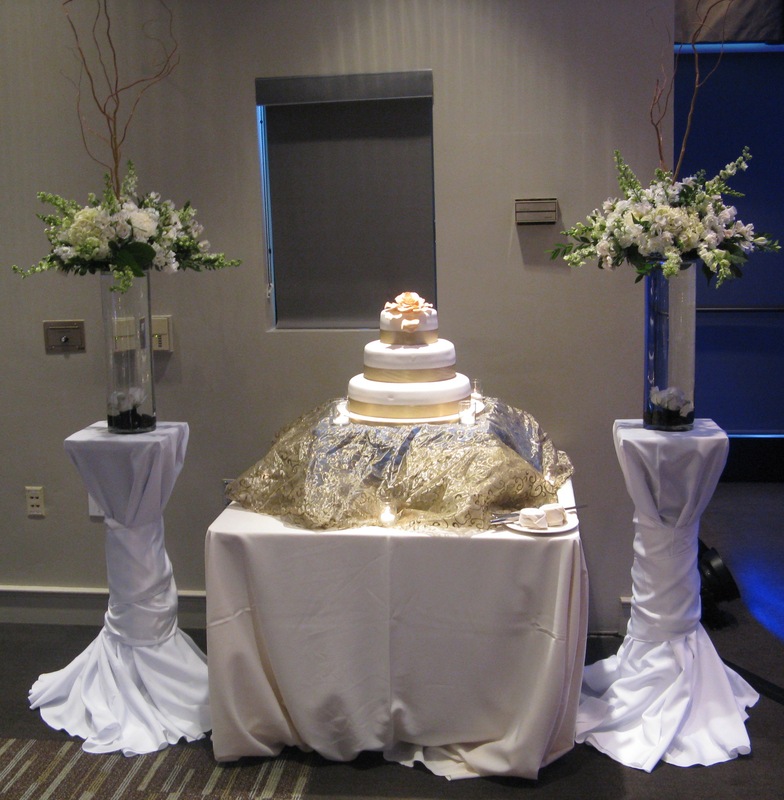 The glass pieces in the metal stands became reception centerpieces, and we moved the floral arrangements from the front of the ceremony to sit on either side of the cake. Large, lush floral arrangements on fabric-wrapped pillars are re-purposed for a focal point at the wedding reception. 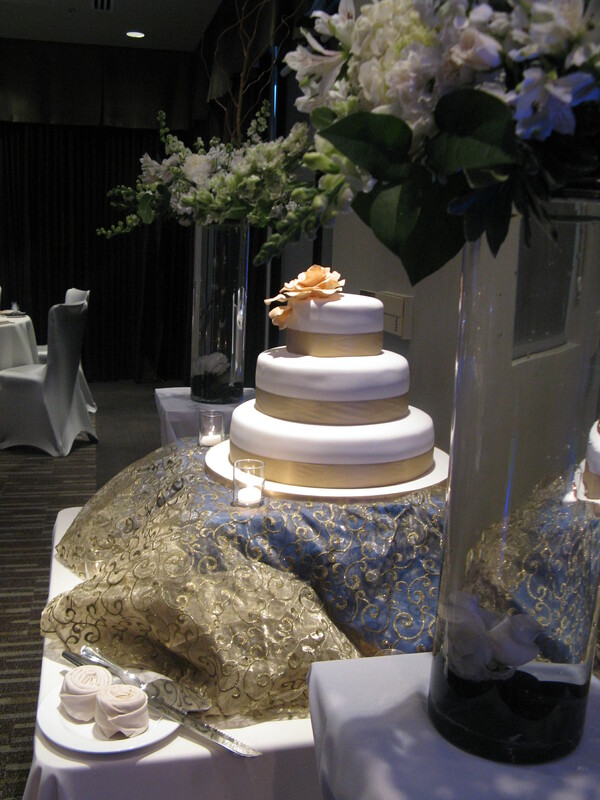 Artistic view of the wedding cake and wedding flowers at The Sanctuary.